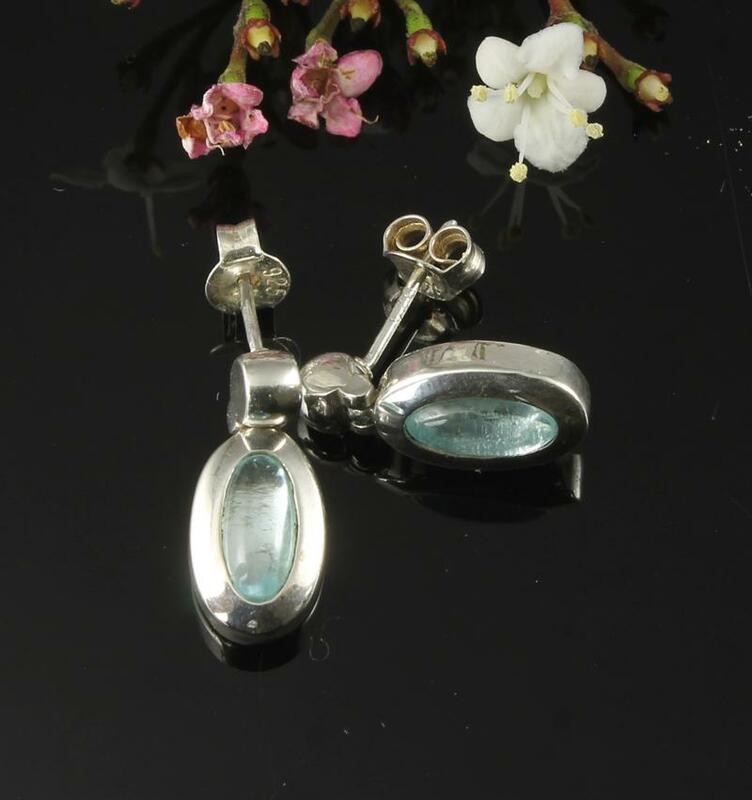 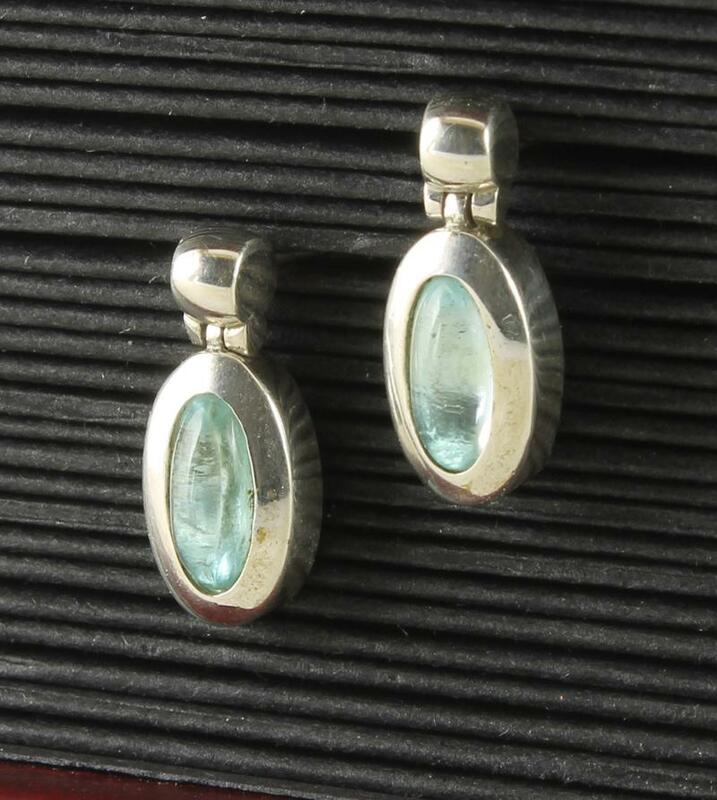 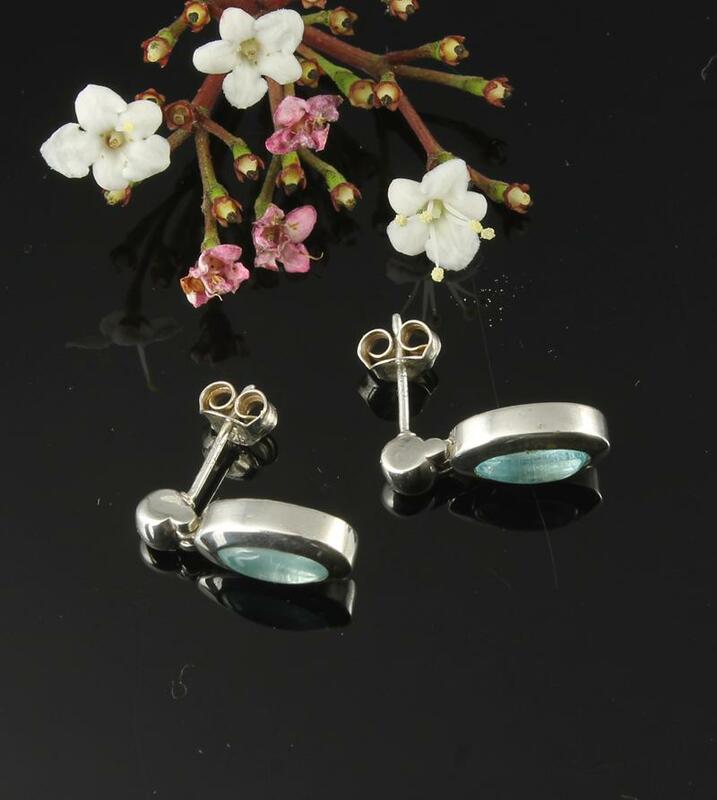 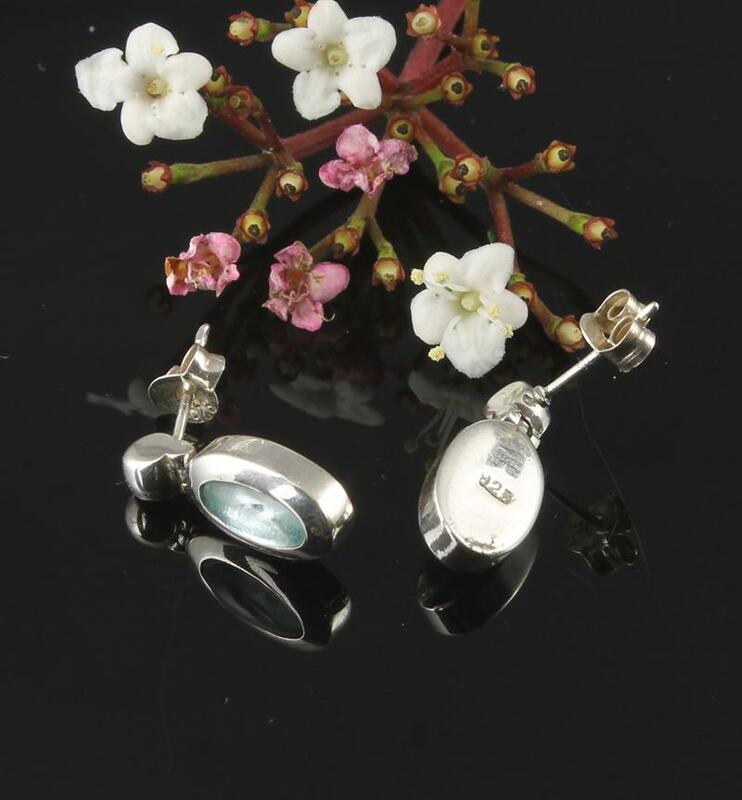 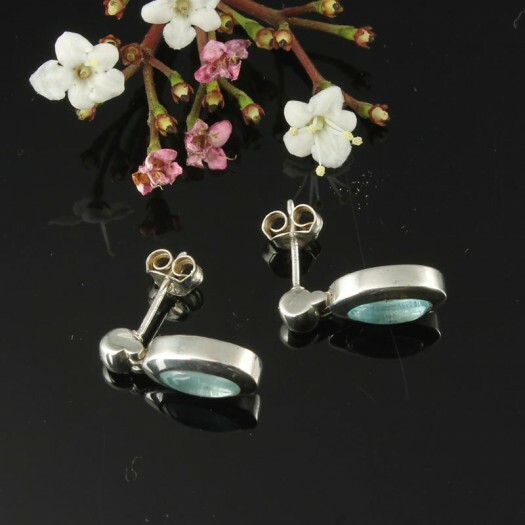 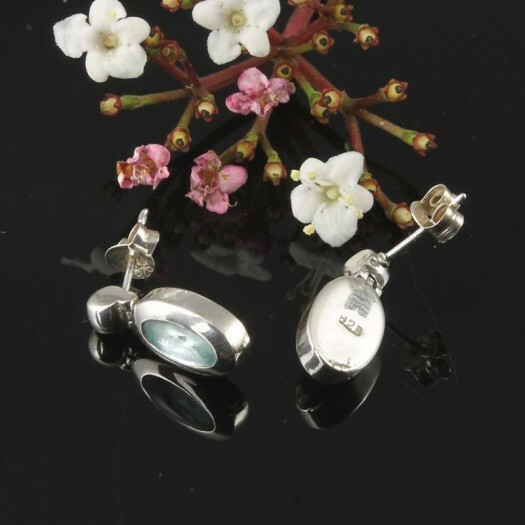 These nicely crafted and delightfully subtle stud earrings feature a polished, convex, pale blue Topaz oval gemstone, set in an oval Sterling Silver bezel, suspended below a tiny, hinged, barrel-shaped sterling silver stud post, secured with butterfly earring backs. 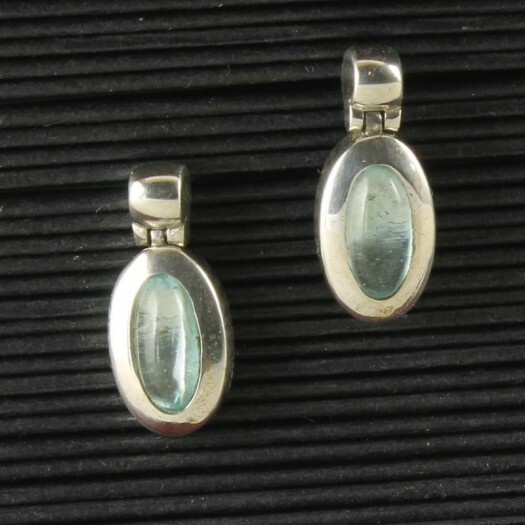 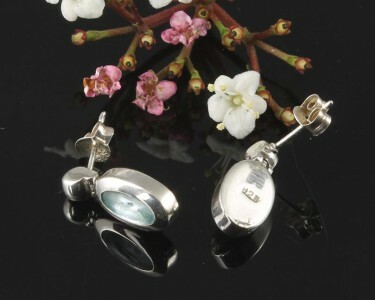 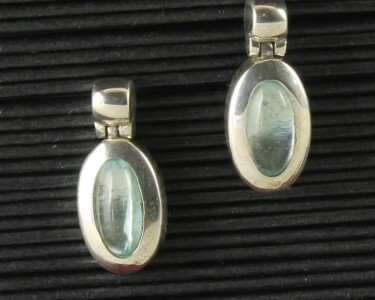 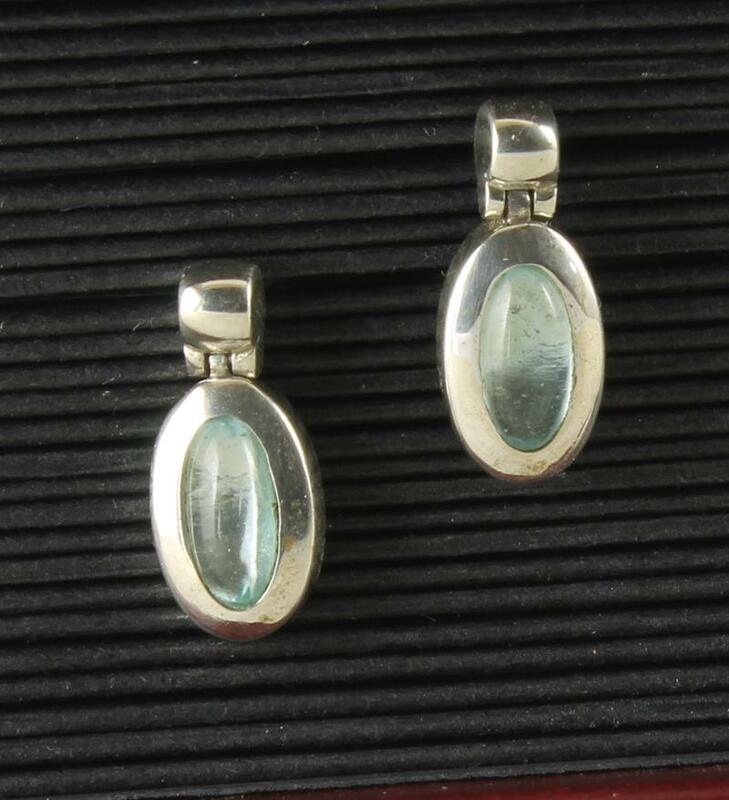 Size & Fit : Earring drop: 1.6cm/0.7in; Gemstone length (incl bezel): 1.1cm/0.38in; Gemstone width (incl bezel): 6mm/0.25in. 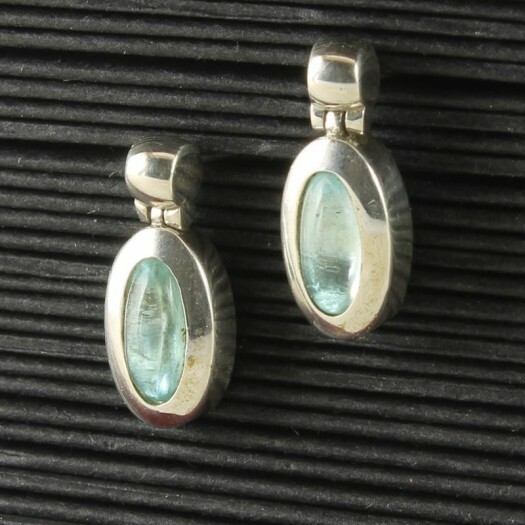 Wear It With : Elegantly made and lustrously coloured, these pale blue gemstone Topaz gemstone earrings are sufficiently laid-back to be worn with any of your outfits. 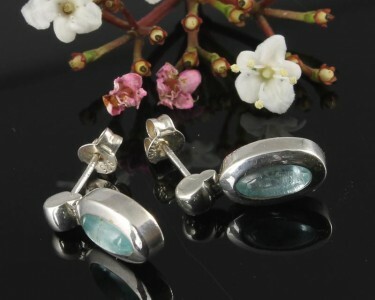 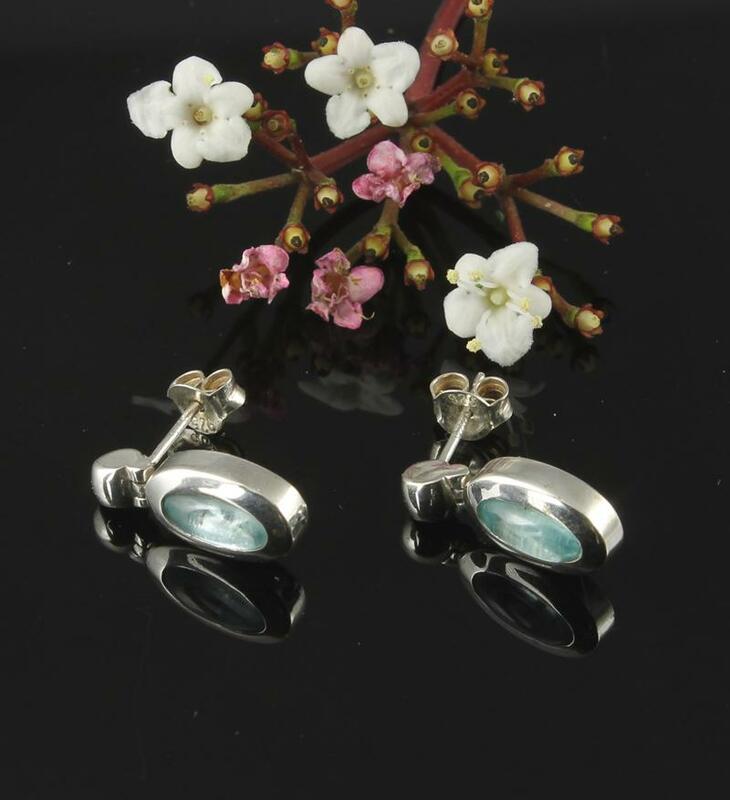 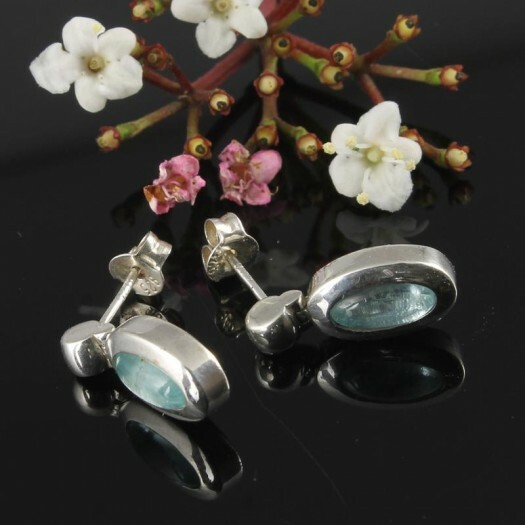 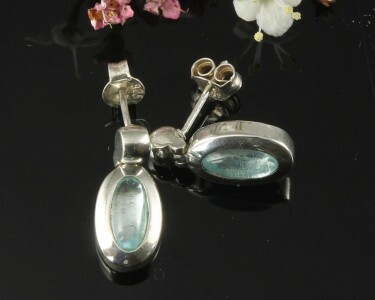 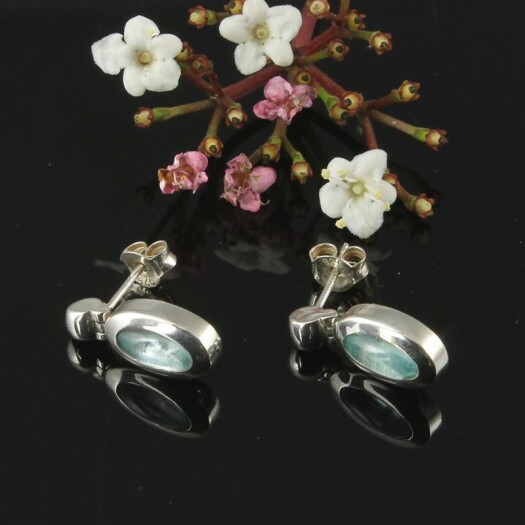 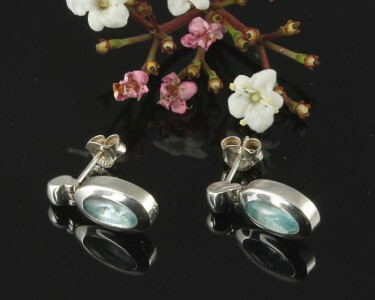 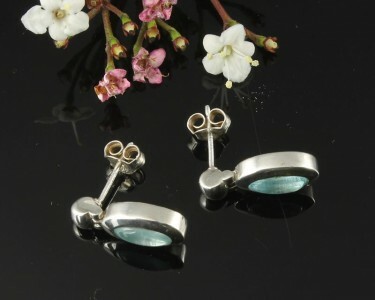 Additionally, you can use these delightful stud earrings to match your other pale blue Topaz and Sterling Silver jewellery. 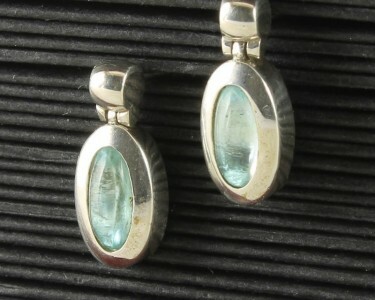 The Topaz gemstone is the traditional birthstone for the month of November.